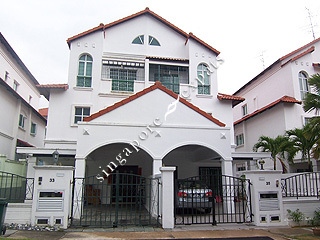 WESTVILLE is located at 1 WESTWOOD WALK in district 22 (Boon Lay, Jurong, Tuas) of Singapore. WESTVILLE is a 99-year Leasehold Landed Estate development consisting of 339 units. WESTVILLE is completed / TOP in 1997 (estimated), developed by FIRST CAPITAL CORPORATION. Educational institutions like CANADIAN INTERNATIONAL SCHOOL (LAKESIDE), YUVABHARATHI INTERNATIONAL SCHOOL, ST. FRANCIS METHODIST SCHOOL, PIONEER PRIMARY SCHOOL, WEST GROVE PRIMARY SCHOOL and CORPORATION PRIMARY SCHOOL are near to WESTVILLE. WESTVILLE is accessible via nearby PIONEER, BOON LAY and LAKESIDE MRT Stations.